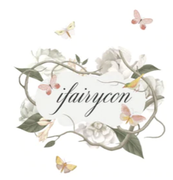 Ifairycon pledge is distributing products that meets international quality standards and are approved for safe use. We offer the largest variety of colors and design for cosmetic color contact lenses and circle lenses at the best possible prices. We also offer color lenses from popular and reputable brands such as I.Fairy lens , ICK lens , I-Codi lens , Kimchi lens , Geo Medical lens, G&G lens, EOS lens, Dueba lens, Freshkon lens, Acuvue lens and more. We guarantee that all of these South Korean manufactured brand are 100% authentic.